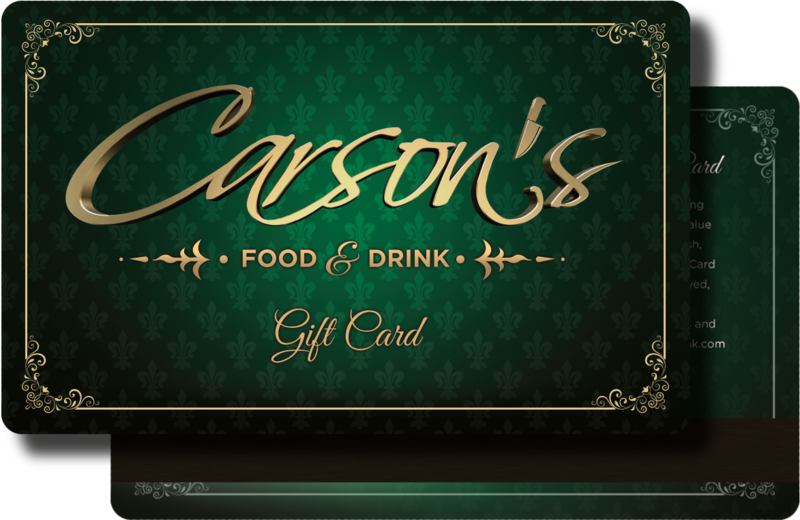 Carson’s gift cards make wonderful gifts for birthdays, anniversaries, fundraisers, and stocking stuffers! 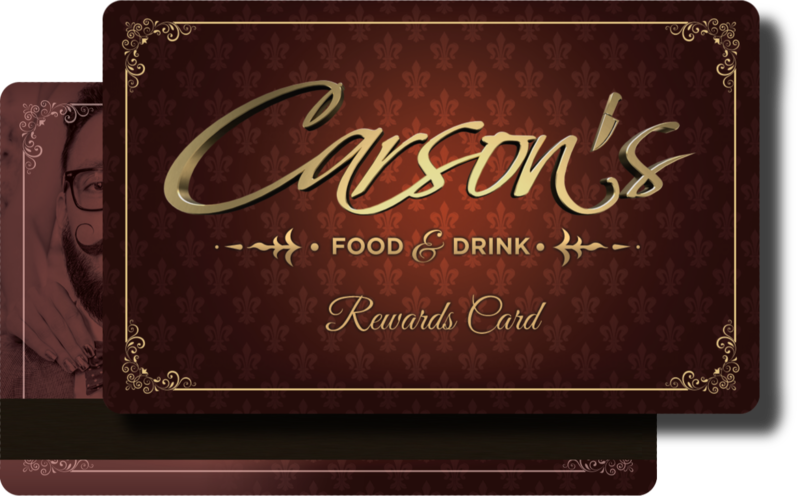 Get rewards points for every time you visit Carson’s and get money back! If a gift card is lost, it cannot be replaced or recovered.